Victorian Labor has kicked off its campaign for the state election on29 November with the promise of a $1.2 billion dollar package to upgrade schools and the TAFE Government school upgrades and refurbishments would cost $510 million, $120 million would be provided for Catholic and independent schools and $50 million would be spent on upgrading kindergartens across the state. Labor would also provide millions of dollars to help struggling families with uniforms and shoes. Labor also proposes a network of technical schools around the state , with 10 centres to be set up with a $125 million fund. The “first act” of an incoming Labor government would be to set up a $320 million “TAFE rescue fund” to reopen closed campuses, bailout struggling centres at risk of financial failure. There will also be a review of VET. 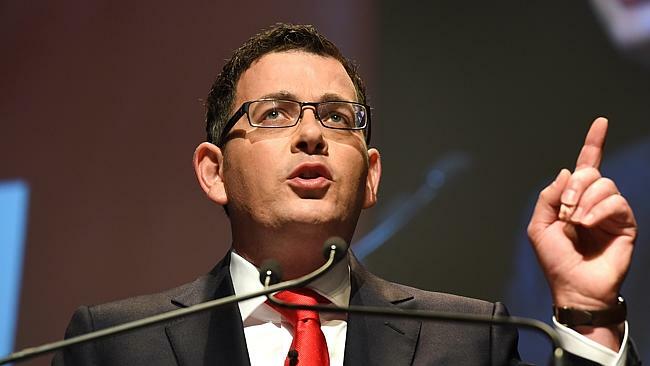 Speaking at the Labor party’s campaign launch in Geelong, Labor leader Daniel Andrews vowed to make Victoria “the education state” with the $1.2 billion package. From pre-school to post-grad, a Labor government will be there for you every step of the way. We wont just fix schools, we’ll help them do more. Labor has declared that it would create a $150 million school camps, sports and excursion fund to help more students participate in those activities. “Kids need to get outdoors, get fit and get a good education, but under the Liberals, they’re missing out,” Andrews said. A further $15.5 million partnership with State Schools Relief to provide school uniforms and shoes to struggling families and also invest $13.5 million to fund 500 breakfast clubs at disadvantaged schools, giving meals to 25,000 children every day. On its first day in government Labor would set up its 320 “TAFE rescue fund”. This is an emergency and we simply cannot wait. Under the technical schools network plan students would spend a set period of time getting a technical education while maintaining enrolment at their local secondary schools. One school will be in Geelong, with the remaining nine centres to be announced in the coming weeks. Courses would be designed by TAFEs, universities and local industry. Andrewa said “it’s not just a path to a career, it’s a red carpet,” Mr Andrews said. “Tech schools are coming back, refined and reformed, because out kids deserve a head start on a hands-on profession,” he said. Labor would also conduct a review of the VET system, headed by former Holmesglen Institute chief Bruce McKenzie. The Labor leader said all election costings would be signed off on by globally recognised accounting firm, Moore Stephens. “They are fully funded, and fully costed,” Andrews said. $13.5 million for 500 breakfast clubs at disadvantaged schools, serving up 25,000 meals a day.